Ever counted how many tetra packs go through your hands every day? They have the purpose to protect your purchases from any damage during transportation and to make the consumption of your food easier (they help to easilly poor and store your milk, for example). But in a couple of days or even hours you throw them in the garbage can. 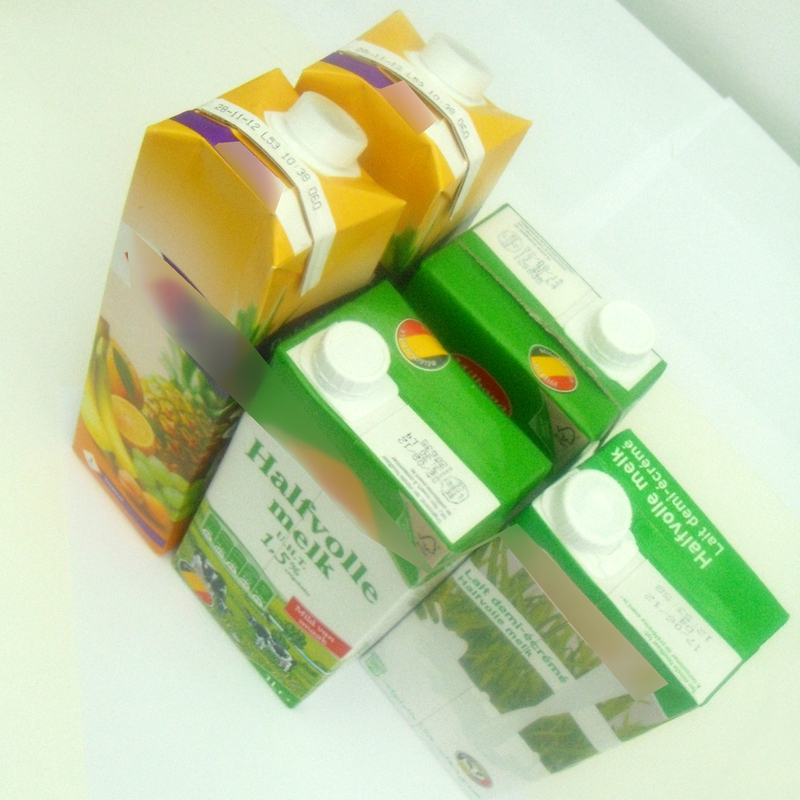 Some of those tetra packs have beautiful graphic designs printed on them: besides the brand logo, the name of the product and many product details, they show fruit, grass or even baby's! On the inside tetra has this enchanting silver gleam, that is never seen by the consumer. Tetra is also very thick. It is much thicker than most of the paper or cardboard sheets that you can buy in the DIY store. I layed aside a couple of tetra packs, to see what I could do with this material. Of course I had to wash it properly. And I found out that the tetra from the tomato soup had become completely red on the inside, which makes it useless. 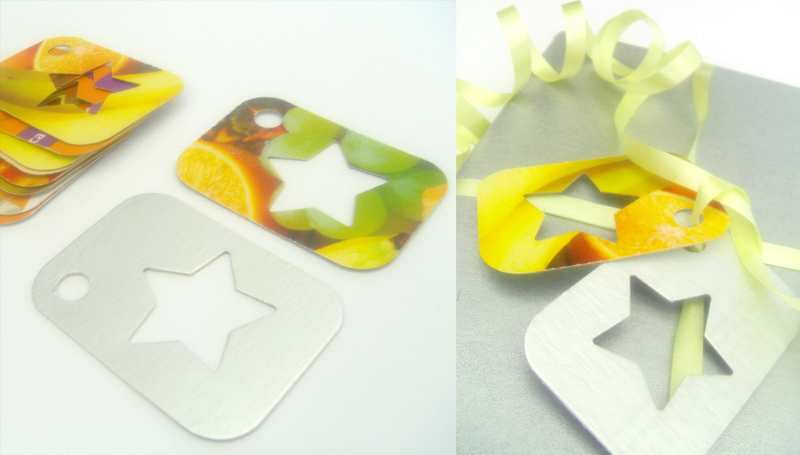 From the tetra packs for milk and juice, I was able to make some pretty nice tags. Using cutting tools for cardboard, I made pieces of 3,5 x 4,5 cm with a star cut-out and a small hole for a ribbon. 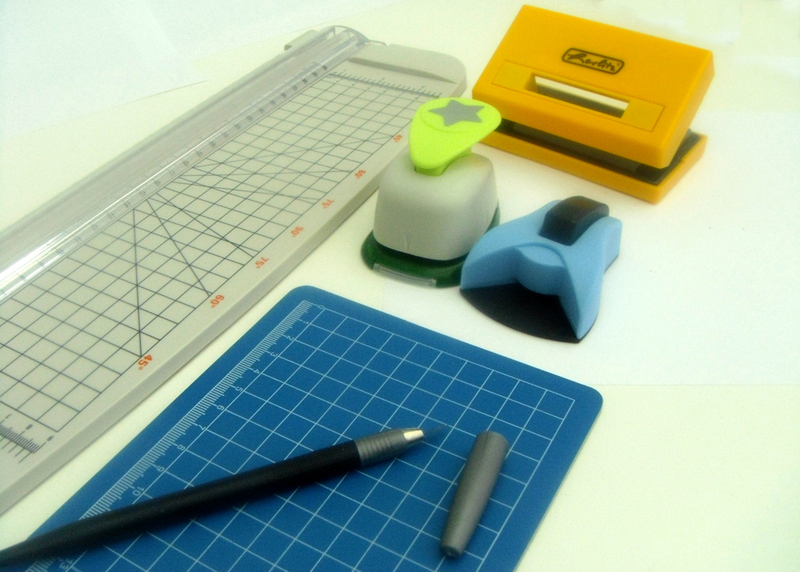 If you haven't got those punchers to cut a shape out of the tetra, you could also use a sharp knife for detailed cardboard cutting, to create a cut-out.